It’s 2025. Filial piety and the age-old custom of paying respects to one’s ancestors during the Qing Ming Festival has survived all the changes in modern society. Ye Di is at the columbarium with his father to visit his late mother’s niche. Father has laid out the offerings and instructions on how to conduct himself. Ye Di wouldn’t have known if it was two joss sticks he should use in prayer, or three. Or if there was a special technique to make sure the incense papers burn properly. The most important thing on this day was to be present, and Ye Di was, but there were some things he wished they could leave behind. If someone made an app for it, should some traditions like burning incense papers go up in smoke? 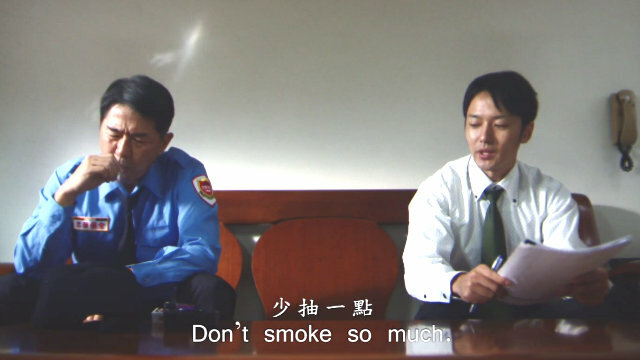 Instead of “I Love You, Dad”, He Said “Don’t Smoke So Much”.